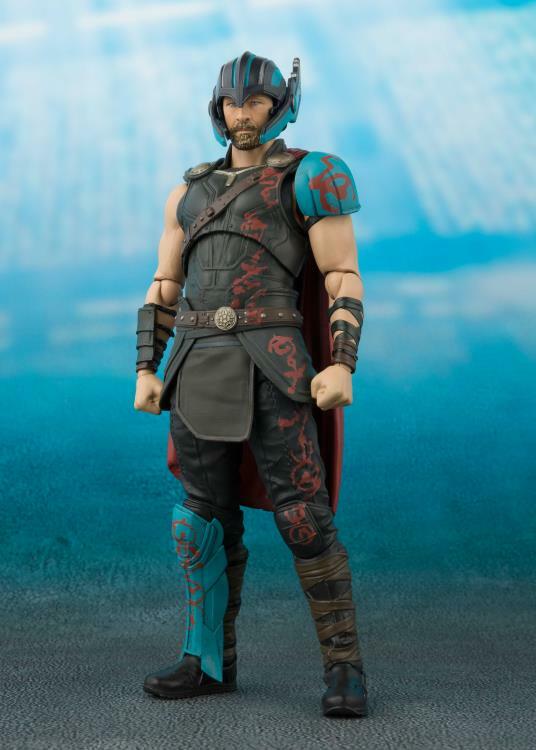 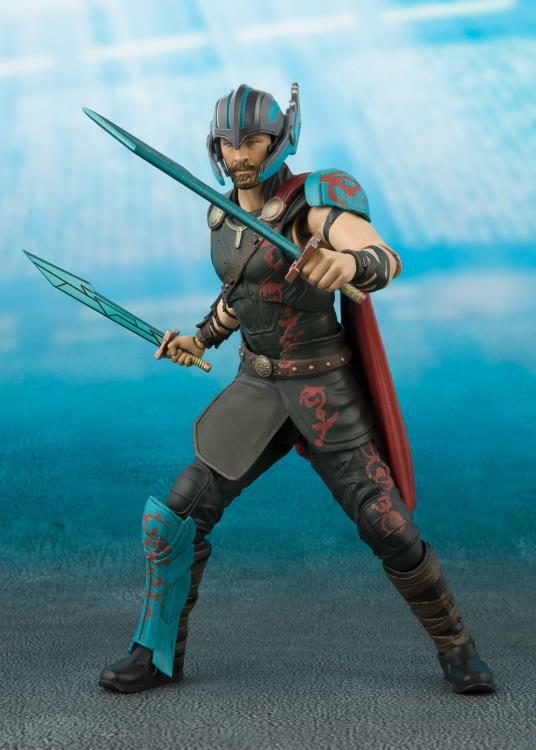 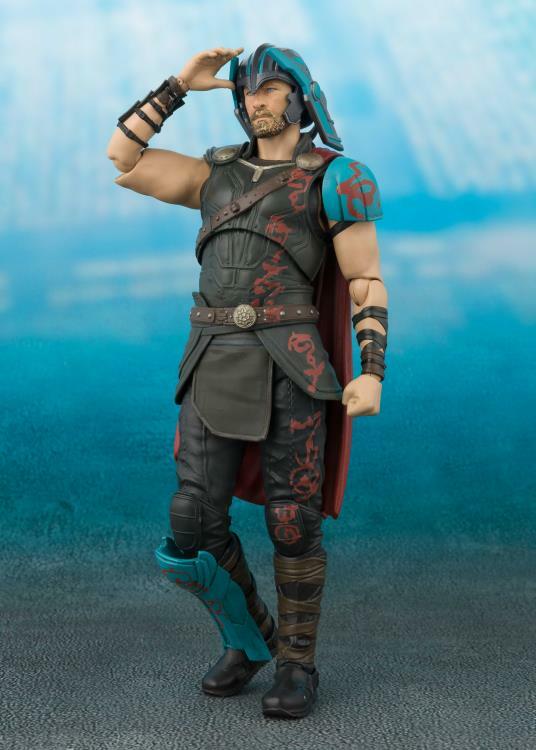 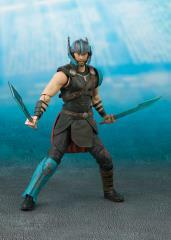 From the thrilling new film "Thor: Ragnarok" comes this S.H.Figuarts portrayal of Thor in his distinctive Ragnarok helmet and armor! 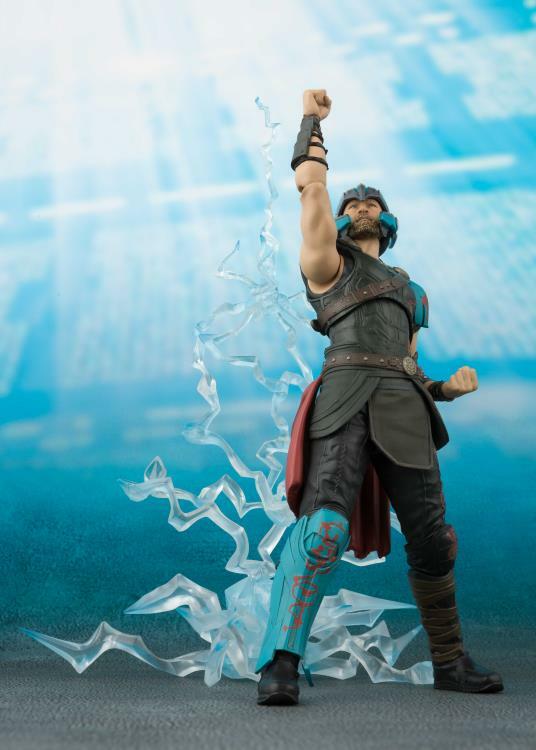 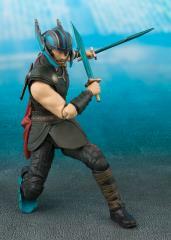 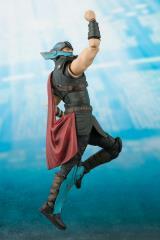 The highly posable action figure set includes Thor, optional hands, twin swords, and back-scabbards. 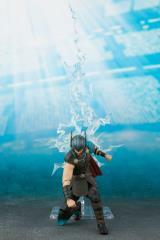 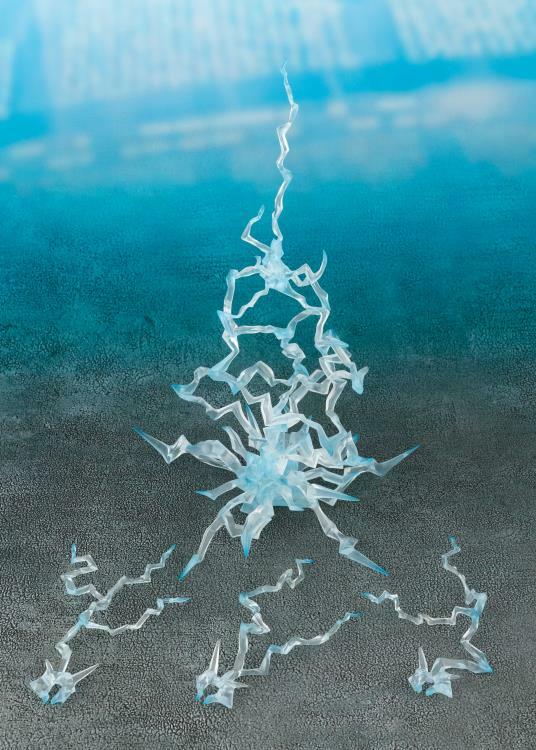 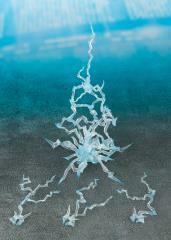 Also includes thunderbolt effect parts, befitting Thor's being the God of Thunder!